The word empathy is one of the most common words in man's vocabulary. Though the above definition says another being, most people apply this word to HUMAN beings only and not to NON-HUMAN animals. Many fail to imagine themselves to be them, non-human animals, which somehow made me question, "is empathy exclusive to mankind only?" Well, many people are generally kind and caring who may love their dogs or cats - their pets, in other words, but they seem to have forgotten their concern towards other animals like the plight of pigs, chickens, turkeys, sheep, cows, etc. in slaughterhouses getting ready to be sold and eventually be served on their dinner table. Can a man be this hostile? Now let me ask you! Are you one of these people who empathize with human pains and sufferings only? Or are you different? Will there be a chance for you to be different from now on? In Earthlings, a documentary film about the society's treatment of animals as food, clothing, entertainment and scientific research, I couldn't help myself but say "Good!" when the elephant ran amok and injured and killed people who treated him mercilessly just for the sake of entertainment. In the movie, The Planet of the Apes, humans are dumb just like how humans think of animals today. They are in the situation where they are hunted for sport and dissected or sliced for scientific study. Good thing apes were vegetarian, otherwise human meat would have been their favorite. Could this be a consolation for humans? Just a few weeks ago, a neighbor killed a cobra because he, his family, and his other neighbors are afraid of it. They are scared that the would enter into their houses and bite them. That's all they can think of -bite them, and so he/she has to die through their hands. My husband and I tried to persuade them not to kill him/her, to just let him/her go on its way for he/she's just passing by. But no! The man still brought a big round stick and smashed him/her to death. I literally burst out into tears and walked away. I couldn't bear the hostility of man, who is supposed to be far more intelligent than any other being yet he couldn't hide the beast in him. In another incident around here, a big cat was hunted and killed (I am referring to a different leopard, not the pictured one below) because he killed a 5-year-old kid. Many commented and said it should have not killed the kid, it should not hunt humans. It can kill dogs, sheep, goats and other animals but not humans! And so he was killed. But who would you blame? The big cat that has gone hungry for many days because his habitat has been destroyed by endless human population growth or the humans themselves who think that they can empty the forest, that these animals don't have the right to inhabit the earth like they do? Here, I confirmed how idiots humans can be because of selfishness and apathy. How can they even think that there is only but one man-eating leopard roaming around in this area? What if the one got killed was not the one they were looking for? But, oh well, they are not capable of thinking this way, aren't they? Then, why kill the animal? 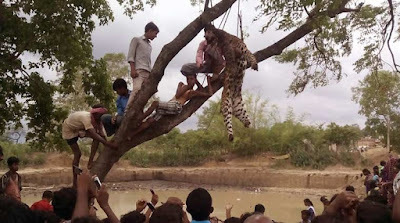 There is forest department that is supposed to handle this situation the right way - tranquilize the cat and transport him to a jungle where he can thrive. But they resorted to killing him. The above scenarios are just a few instances where humans have shown their hostility, selfishness, idiocy for the sake of their own benefit. No wonder man survive this long wiping out the weak along the way for them to thrive in great numbers. I know that many cannot understand and connect these issues what I am mumbling about. I don't have control over that. But for those who are capable of putting themselves in the paws and hooves of these animals, they already know what to do, if they haven't done anything yet. Yet again, compassion or kindness is innate in every person. But somehow, along the way it got lost, but it is something that could be lost but also can be found again. 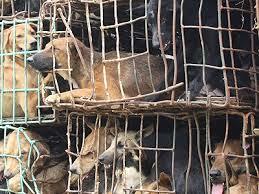 Don't fail to put yourselves in the lives of these animals, which you considered scrumptious! It's time to evolve and become that man who is part of nature but on a different level altogether. You can be a part of nature and choose to kill and eat your fellow earthlings. Instead, be a part of nature, and at the same time, choose not to exploit animals in every possible way. Be that man! Be that man who says, empathy is for all creatures who live on this planet. 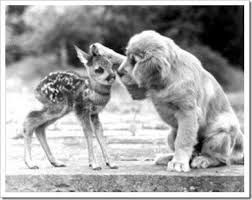 Empathy is something that is extended towards non-human animals. I failed for 27 years but I changed my ways. I passed and still doing my best part to protect and respect them. I just don't have sympathy for them, I deeply empathize with them. I clearly see their value, not as food that fills my belly, but as beings that exist because they have every rights to share this beautiful planet with me. I want to live my life and I know, every single animal out there wants to live his or her life, too, free from any threats from mankind. Immorality: Which One Really Is Immoral?